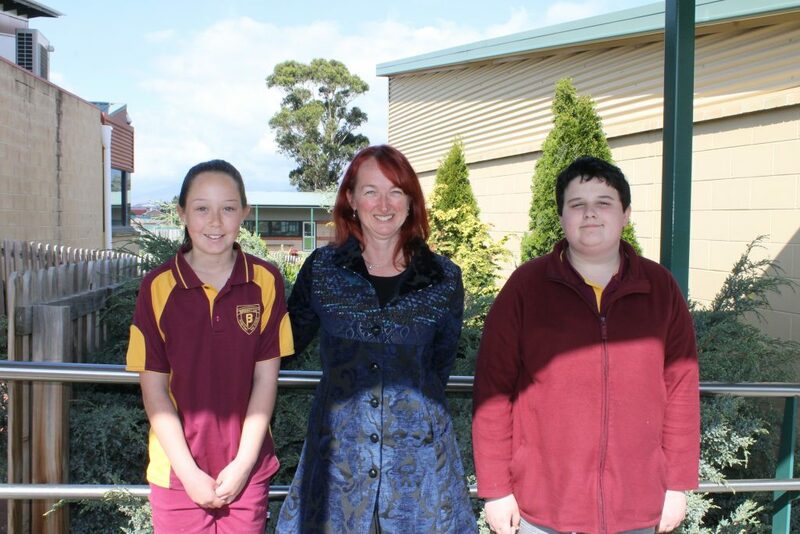 TWO of Tasmania’s brightest and most qualified educators have been appointed principals at Brighton’s two largest schools. Ang Miezitis, 48, is the new principal of Brighton Primary and with 620 students it’s one of the largest primary schools in the State. Sandy Menadue, 50, has been appointed to lead the teaching team at the Jordan River Learning Federation Senior School, which also includes the Bridgewater Trade Training Centre and School Farm. New principal Sandy Menadue is very much at home at Jordan River Learning Federation. The senior school is uniquely federated with the three neighbouring primary schools (Herdsman’s Cove, East Derwent and Gagebrook). The four principals within the Federation work closely to align their collective professional efforts to support the community. As is the norm for senior appointments by the Education Department, both Ang and Sandy were acting principals for several months last year before they were confirmed as principals in November. Both have spontaneous praise for their new colleagues. “I’m lucky to have such motivated teachers working alongside me,” Sandy said of the JRLF team. The new principals speak well of each other’s professionalism. Brighton Primary has 45 teachers on the payroll, some of whom are part-time equating to 31 full-time staff. “My UTAS study as an early childhood teacher has given me the advantage of understanding the needs of young children,” Ang said. She plans to introduce several new programs which she believes will further enhance the learning experiences of her charges. Sandy’s tertiary education also began at UTAS. He later gained a master’s degree in international education policy at Melbourne University and did post-graduate study in education leadership at George Washington University in the US. Sandy also has a graduate certificate in counselling at the University of Canberra. Jordan River Learning Federation has 330 students in secondary school classes or in the Bridgewater Trade Training Centre. The Federation also encompasses the School Farm in Brighton. ANG Miezitis, the new principal of Brighton Primary, is delighted with the warm welcome she has received from the children. Ang’s family name comes from her father-in-law who was Latvian. Her husband John is an IT specialist at UTAS. Their 22-year-old son James is studying marine science at the university. The family lives in Moonah which is where Ang spent much of her teaching career. Ang completed her secondary schooling at Rokeby High, then studied early childhood education at UTAS. Her first two jobs were teaching at country schools, first at Levendale, which had 28 students, then Gladstone in the north-east both “lovely little schools that closed a few years ago”. Ang was principal at Moonah Primary for 10 years before accepting the transfer to Brighton Primary, which has 620 students – more than double the number of her charges at Moonah. While principal at Moonah Primary, Ang piloted the schools’ kitchen garden program developed by Australian chef Stephanie Alexander. The program proved to be so successful and she plans to introduce it to Brighton Primary. She has a team of teachers keen to work on the program. Ang, who studied ballet until she was 16, later taught jazz dancing. She is enthusiastic about extending this interest into the school’s programs. Another interest of hers is Japanese language and culture, which she introduced to the curriculum at Moonah, and would like to introduce it to Brighton. Ang is a great enthusiast of all things Japanese. She has visited Japan five times and has been on the ski slopes there as has Brighton Primary’s former principal Tony Fagan. SANDY Menadue, newly appointed at the helm of Jordan River Learning Federation, got into education by accident. Literally! When he finished his secondary education at Taroona High, he was accepted into Australia’s Navy and wanted to pursue a career as a clearance diver. So Sandy studied education at the UTAS Launceston campus, majoring in physical education and English. 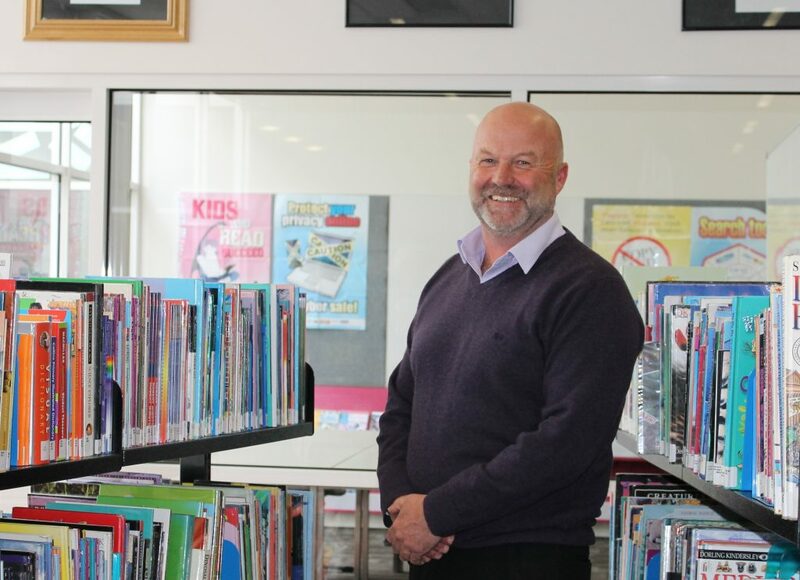 His first teaching job was a one-year contract at Triabunna District High, then he spent a year with the State Government’s child welfare service. After working with the DHHS, Sandy had what he called “the wanderlust” and so he moved to Canberra. While in Canberra he set up a school for juvenile justice. Sandy and his wife, also a teacher, were married in Canberra 14 years ago and decided Tasmania was the place to bring up a family. They now have two children. He was appointed principal of the Jordan River Learning Federation at the end of 2016. Sandy said of the Federation: “It allows us to get to know the students, right from kindergarten. And we get to know their families, siblings and parents. This helps make for a cohesive transition through the various levels of education to Year 12.